Fulton County, home to the majority of Atlanta, consists of all walks of life considering the fact it’s the most populated county in the state of Georgia. Fulton County has a population well over a Million, making it one of the most populated counties in the entire South East. The Stand Up Guys Junk Removal Crew knows this county all to well. We have spent countless hours of prestigious customer service helping the residents of this wild and crazy county dispose of all their junk removal needs and wants. Fulton County is almost too big, and too populated to even cover, but the experts here at Stand Up Guys somehow figure out a way, to maneuver our trucks in and around the entire city, trust me, it’s not an easy task keeping everybody happy. Search for your location and see what the Stand Up Guys Junk Removal Crew can do for you and all your junk removal needs! Plus, learn some interesting and entertaining facts about your area that you might not already know. Don’t forget to check out your areas regional manager, and get to know which Stand Up Guy will be coming to pay you a visit. 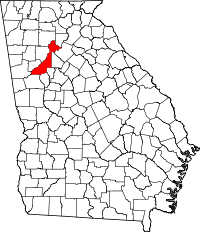 Fulton Fun Fact: Fulton County was originally created from the western half of DeKalb County in 1853. Check out the Regional Manager in Your Area. Find out all of What We Haul in Fulton.